On Saturday, April 6, 2019, the Stevens community gathered at the historic Plaza Hotel for a spectacular evening honoring its most devoted and accomplished alumni and friends. The Power of Stevens campaign is powering much of the success at Stevens. Open the official Report to Philanthropic Investors book to see key stats, read inspiring stories of generous donors, and learn about current and future campaign priorities. Thanks to the generosity of the A. James and Alice B. Clark Foundation, the first cohort of talented Clark Scholars are enjoying their freshman year at Stevens. 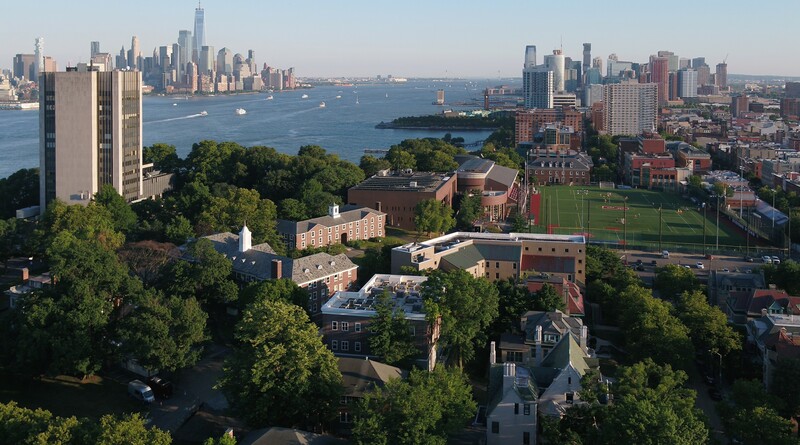 Alumnus Richard F. Harries ’58 and his wife, Carol, have given Stevens Institute of Technology one of the largest single gifts made to Stevens in its 148-year history. Alumni honored the first half-century of the Stevens Technical Enrichment Program, both by gathering for a campus celebration and by raising funds to endow the STEP scholarship. Welcome to the Development and Alumni Engagement website. We do two things here: First, we connect Stevens alumni to their alma mater. Look around and you’ll find information about events, benefits and more for the 40,000+ Ducks living around the globe. Second, we’re working to help Stevens become the best university it can be. Read about The Power of Stevens – the most ambitious fundraising campaign in university history, with a goal of raising $200 million from 2013-2021 – and some of the many donors who are contributing towards the campaign goals of enabling Student Success, promoting Faculty Excellence, and building a Vibrant Campus. Here you can make an impact, get involved and stay informed by submitting a donation, registering for events, updating your directory info and more. You can choose to give to your favorite academic program, scholarships, athletics and many other campus causes. Alumni and friends across the country meet and mingle in dozens of events throughout the year. Get involved and support Stevens by joining an alumni club in your region of the country or one representing your latest reunion year. See the names of everyone who supports Stevens on the updated Donor Wall, including highlighted stories of alumni and friends who have made meaningful gifts. Every spring, the Stevens community gathers to celebrate some of its most impressive members and their achievements in industry, academia and society.